Adopted and Loved! Let's get this Monday off to a happy start! 10-year-old Spike has been adopted! He now has his forever family & a big four-legged brother named Bubba. 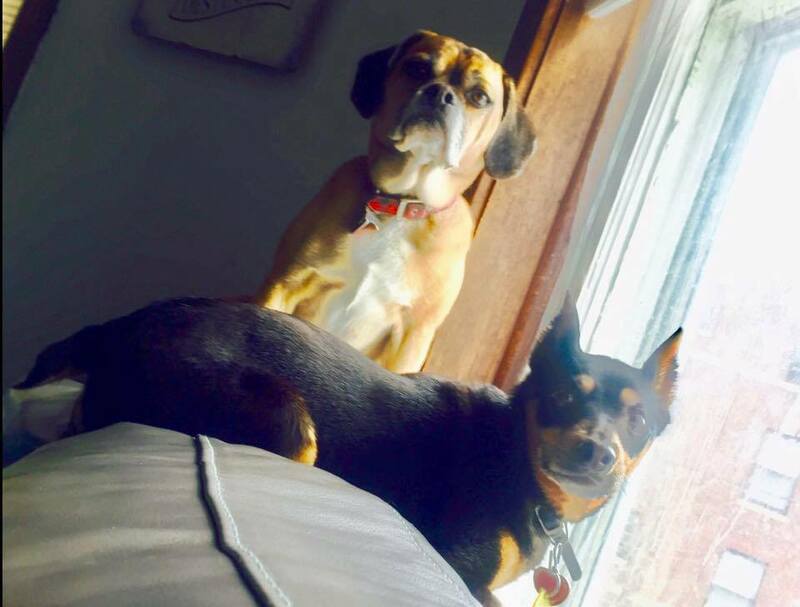 Spike and Bubba love to enjoy the view out the window so that they can keep tabs on all the dogs walking by in Chicago! We're so happy for Spike and his new family!